An administrative judge for the Federal Trade Commission (FTC) concluded (.pdf) last week that POM Wonderful marketing claims about health benefits were "false and misleading." 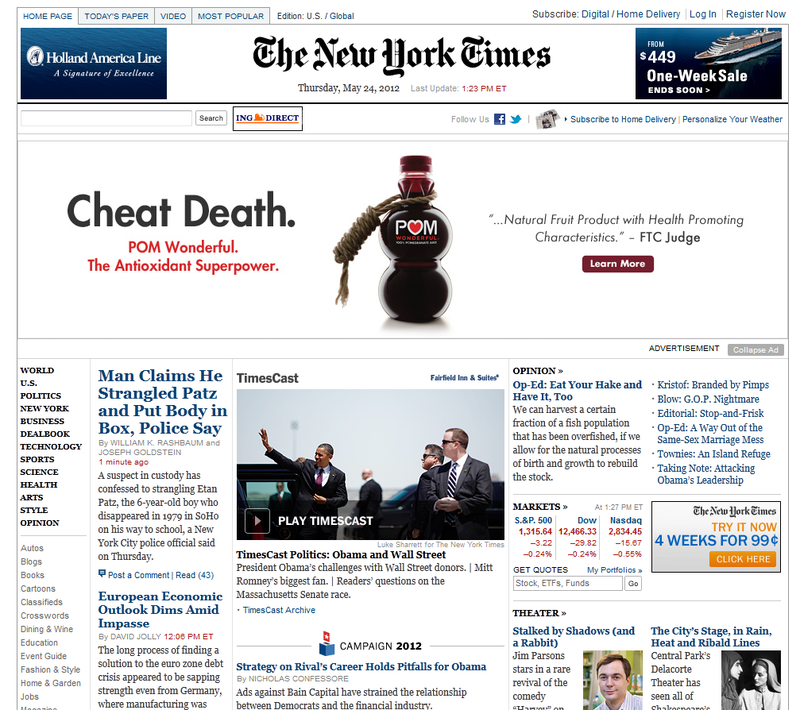 For example, POM Wonderful advertisements imply that the juice protects against prostate cancer. Could this be true? POM Wonderful cited a study with some evidence that "PSA doubling time" -- a measure of prostate cancer's progress -- is slowed by drinking POM Wonderful. Yet, truthfulness requires more than selective quotation from a favorable study. In the FTC hearing, the balance of scientific evidence failed to support POM Wonderful's implied prostate cancer claim. POM Wonderful argued that some of its claims were merely puffery, not intended actually to convince grown-up consumers that the juice protects against cancer. Yet, truthfulness does not permit the kindergarten defense: "Okay, I implied it, but I didn't really say it, so it's not a lie." The administrative judge is correct to tar the claims as false and misleading. What is the policy implication? Some reasonable people would say the FTC should crack down on misleading health claims. Other reasonable people would say "buyer beware," while maintaining that regulation will do little good. In either case, let us all acknowledge that the claims are false and misleading. There can be no defense of the claims themselves. How is this possible? Did the judge really endorse the very cancer-protective claim that POM Wonderful had implied? Here is the full passage from page 282 of the judgment, with the sentences not quoted by POM Wonderful underlined. Competent and reliable scientific evidence supports the conclusion that the consumption of pomegranate juice and pomegranate extract supports prostate health, including by prolonging PSA doubling time in men with rising PSA after primary treatment for prostate cancer. However, the greater weight of the persuasive expert testimony shows that the evidence relied upon by Respondents is not adequate to substantiate claims that the POM Products treat, prevent, or reduce the risk of prostate cancer or that they are clinically proven to do so. Indeed, the authors of the Pantuck Study and the Carducci Study each testified that their study did not conclude that POM Juice treats, prevents, or reduces the risk of prostate cancer. Let anybody who was tempted to criticize the FTC or defend POM Wonderful read these two passages and evaluate for themselves the company's standard of honesty. In my view, POM Wonderful is truly a bold titan of the dubious claims industry. Update (1:45 pm): I just noticed that Marion Nestle also covered the NYT ads. Soon perhaps POM Wonderful will quote Marion's sentence: "Fruit juices are healthy and especially delicious when fresh." Of course, Marion goes on to say she doubts the cancer claims too. In 2010, for the first time, SNAP benefits appear to have surpassed 10% of all grocery spending. This seems to me like a significant threshold. The program formerly known as food stamps is not just an important part of the safety net. It plays a big role in the U.S. retail economy more generally. It should be a national priority to seek economic growth of the sort that reaches all the way to the low-wage labor market. The last time we had that type of poverty-reducing economic growth for a sustained period was the late 1990s. 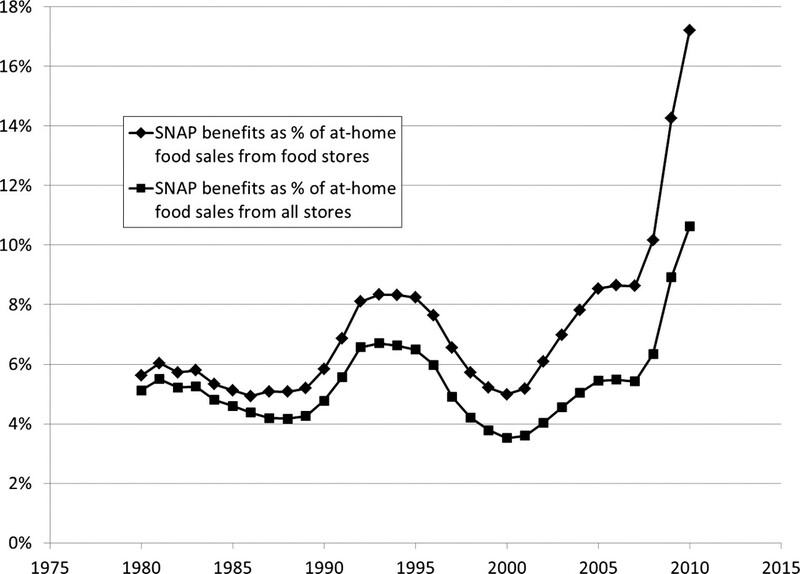 I provide more detail about recent program trends in "The New Normal: The Supplemental Nutrition Assistance Program (SNAP) (gated)," published this week in the American Journal of Agricultural Economics (AJAE). The paper came out of a lively conference session, organized by Benjamin Senauer and including papers by himself and Mark Rosegrant, Mike Boehlje, Brent Gloy, Jason Henderson, and Tim Beatty. This figure compares administrative data on SNAP benefits to USDA's two data series on aggregate food spending. Depending on the measure of food spending used, SNAP now represents 10% to 17% of the food retail economy. Author's computation based on USDA/FNS annual SNAP data (converted from fiscal year to calendar year by interpolation) and USDA/ERS annual national food spending data by calendar year. 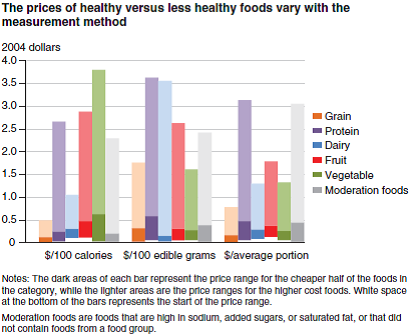 For all metrics except the price of food energy, the authors find that healthy foods cost less than less healthy foods (defined for this study as foods that are high in saturated fat, added sugar, and/or sodium, or that contribute little to meeting dietary recommendations). Based on the third method, people frequently say healthy food is too expensive. Based mainly on the first two methods, USDA argues instead that healthy food is reasonably inexpensive. Often, less-healthy food options are made up of empty calories, prompting people to eat even more, said Andrea Carlson, lead researcher of the report. "Take a chocolate glazed donut which is 240 calories," she said. "You can easily eat one, if not two or three without any trouble at all. However, a banana, which has a lot of nutrients in it and will make you feel quite full, has only 105 calories. You will feel fuller if you eat the banana versus the donut." I can think of reasons to like each measurement method in certain circumstances. Beverages provide an example of a comparison where it seems the per-serving approach is sensible. If we compare the cost of milk to sugary soda, a per-Calorie comparison makes soda look cheaper when it really just has more Calories. The per-serving comparison better captures the choice consumers really face. 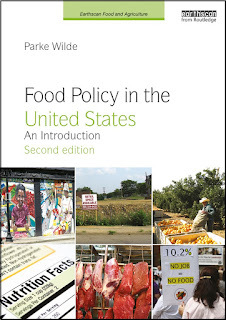 On the other hand, if you think of the cost of a day's food supply, consumers' bodies generally regulate total food energy intake. For such comparisons, perhaps price per unit of food energy does make some sense. For those who want more detail, here is a summary graphic from the USDA report. It is a bit complex. Generally, the high-carbohydrate category is fairly inexpensive, which corroborates the conventional wisdom. But, the fruit and vegetable categories are less expensive than meat by the preferred second and third measurement methods, which is USDA's main point.